In the recent lecture at the Computer Science programme, we’ve discussed the way projects should be designed. There are three very important criteria: Coupling, Cohesion and Responsibility driven design. We might question the use of encapsulation, avoidance of code duplication and writing very specialized classes. Some might argue that once we’ve solved a particular task in a limited amount of time, it’s possible to move on and solve other tasks. However, based on my experience from Mathos Project mainly, I can conclude that if the code would be written that way, the project would have collapsed. The reason is, in particular in open source projects, is that it’s not as strictly decided which team writes and maintains a particular module. One developer might contribute with a specific functionality, and another with a different functionality in the same module. Then, we might get a different set of people trying to understand what they’ve done to build on top of it. 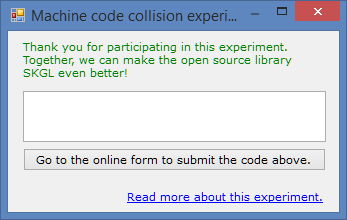 Even the authors of the code might not be able to understand or “dare to modify” their own code. This phenomena can be referred to as legacy code. In conclusion, we don’t want that to happen! Once I installed NDepend and test-launched it, I was able to generate a comprehensive report without reading any documentation. 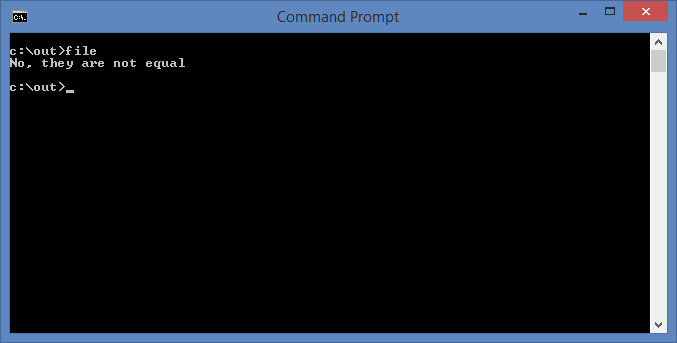 It’s a friendly GUI that suggests you what you can do at any point during the code analysis. Even if it might appear as if it’s so much new information that has to be interpreted, there is a Get Started feature built-in to the report (top, right corner). It suggests that we should look out for unwanted dependencies, look for complex methods, etc. Personally, the first thing that fell into my sight is the percentage of comments in the project. 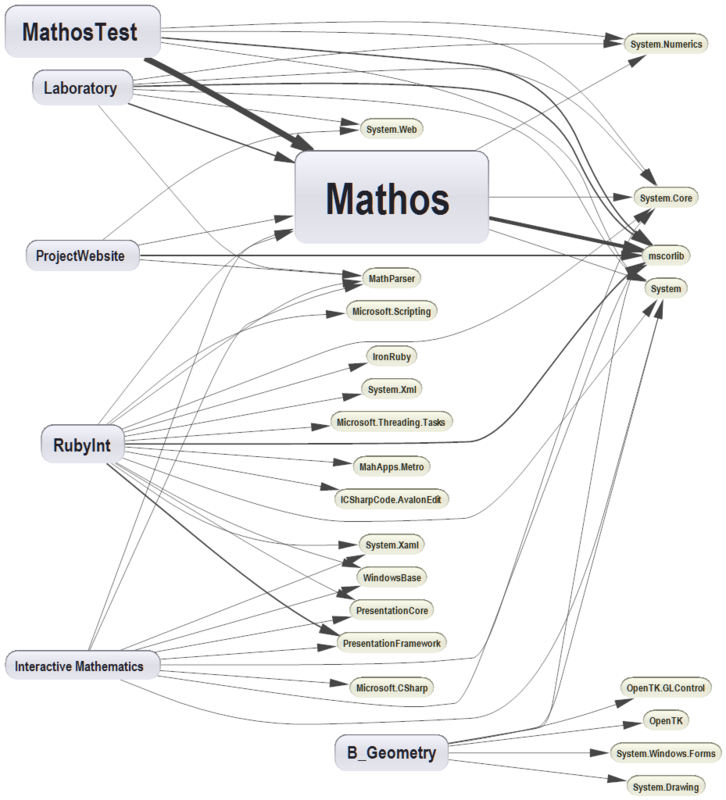 Recently, Mathos Project promoted the idea to write xml comments to each new method as it is implemented. Since all analysis are saved regularly, I could have generated a report before the first post about the xml comment idea and compared it to the recent report. The percentage would tell me if we are moving the right direction. This is good not only from a developer point of view, but a also from a project manager stand point. This is quite good if you want to spot strongly coupled classes. The thicker arrow, the more depended is a class on another class. Moreover, if a more complex analysis should be performed, we can look at code metrics. I am going to analyse complexity in terms of lines of code, but this can adjusted. Code metrics. 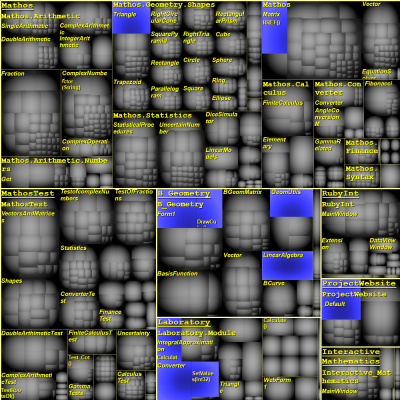 Generated with the NDepend plug in in Visual Studio. Each of these small rectangles represents a method, where the area is proportional to the lines of code that method (we can change this to another property). The rectangles selected in blue are top ten methods that either have too many variables, parameters, or lines of code (read more here). If you spot a method that you want to inspect, simply double click on it and you will be redirected directly into your project where the method is located. This is quite good if we want to spot high or low cohesion. There is a tendency that the simpler a method/class is, the more specialized is the class at a particular task. In addition to the diagrams I’ve already shown above, one that I really liked (partly because of the simplicity) is the Abstractness vs. 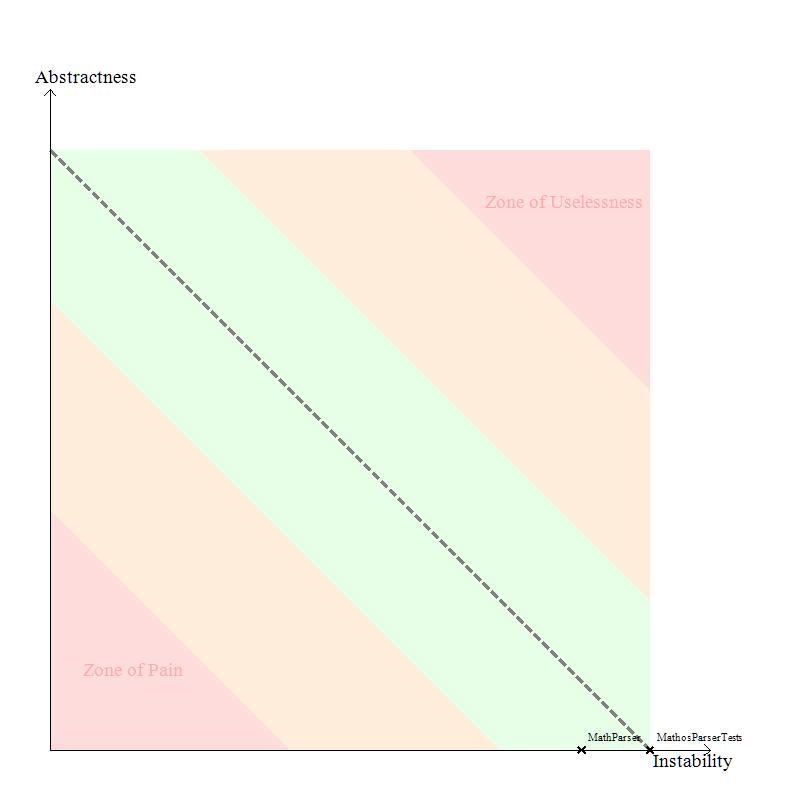 Instability graphs. 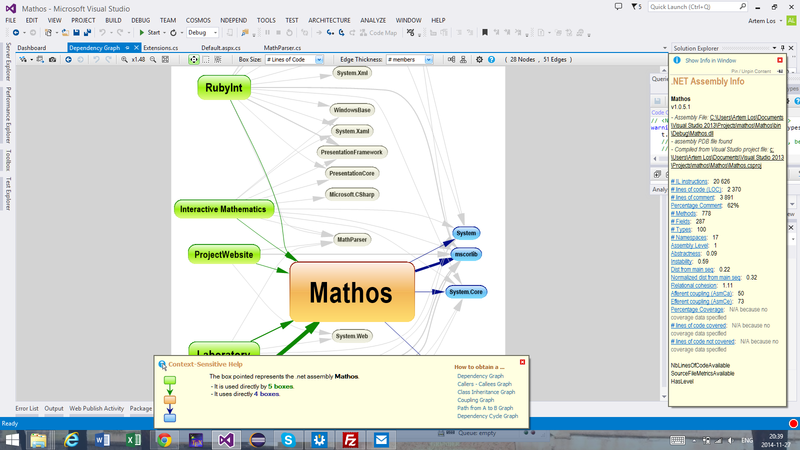 I’ve compared one for Mathos Core Library and Mathos Parser. Note, Instability is a good thing since Stable means “painful to modify” according to the definition. 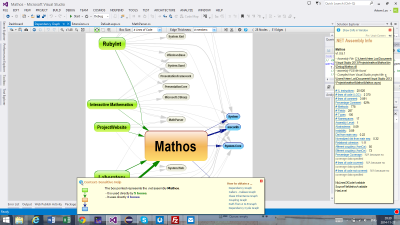 It seems like Mathos Parser is in the safe zone and Mathos Core Library is close to it. Based on my experience with NDepend, I strongly recommend this system to developers working on projects, particularly large-scale projects. Even if you are not using .NET, I believe it’s a good idea to get some basic knowledge of it. Some weeks ago, the .NET team at Microsoft announced that the .NET Core is going to be open source, which in my opinion will make the .NET framework even more influential in environments like Linux, Mac etc. 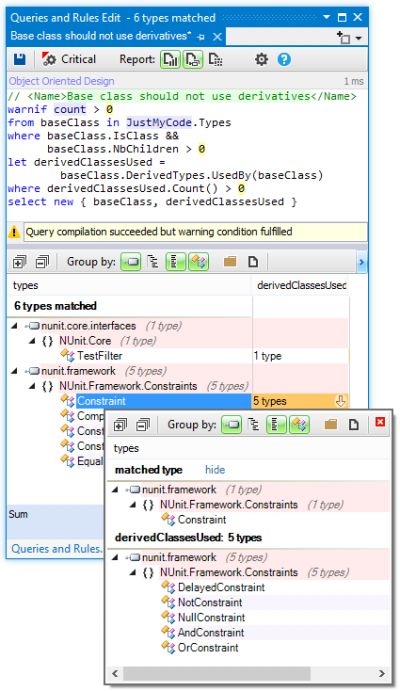 On your .NET journey, I am quite convinced that NDepend will help you to make good design decisions easier and thus make your project not only good at performing tasks, but also a pleasure to read for new developers! Added a picture of C# Linq overview. The article, Introduction to IL Assembly Language, is a great resource for those of you who would like to understand IL code (kind of like asm but in .net). IL really gives you a different perspective on computer programming, and you must consider more things in comparison to high level languages like C#. Currently, I am studying conditional statements. Below, an example of a statement that checks whether the two values in the evaluation stack are equal to each other. //An example of an if statement. ldstr "No, they are not equal"
ldstr "Yes, they are equal"
In order to emphasize the ability to control an application when online key validation is being used, I have created a poster. 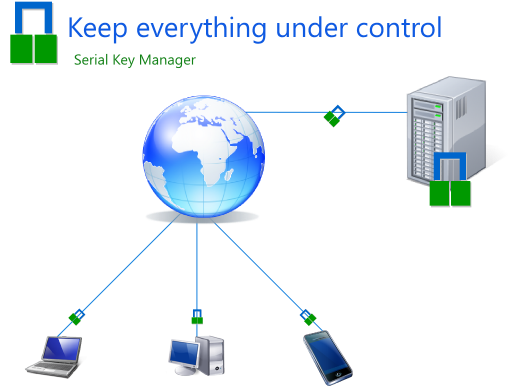 Serial Key Manager be found here.